Fixed an issue where the whole app data was initialized after the phone was booted. 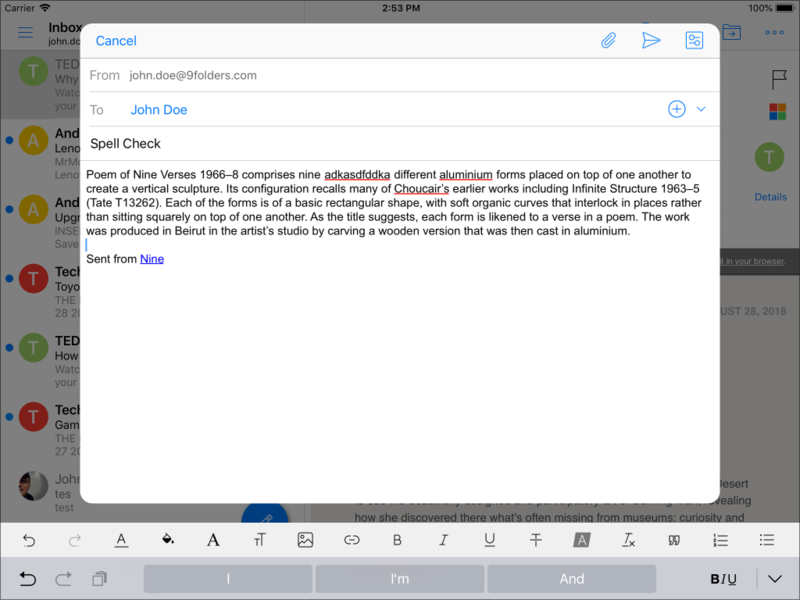 We are pleased to announce that we are providing spell check functionality in Nine for iOS version. (v1.3.7) Of course, For now, we could only provide the spell checking in English, but we will continue to increase the number of languages supported in the future. To check this spell checker feature in your Nine, please try to do as below. Try to make a word mistake with wrong spellings. You can see the red line under the wrong word. Fixed errors related to Japanese (Romanji), Chinese (Zhuyin) IME. So far the previous version, there were some troubles related to inputting with Japanese IME and Chinese IME. For now that v1.3.7 has been fixed a kind of the problems in IME. This update is also for those who are experiencing problems like this issue, please check and update the Nine. 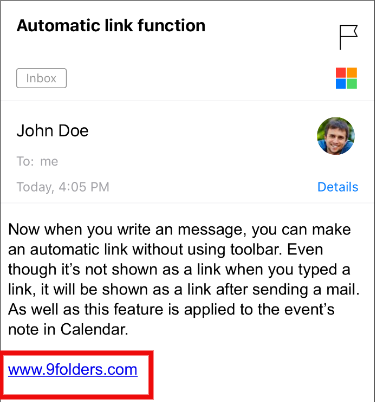 Now when you write a message, you can make an automatic link without using toolbar's link function. Even though it's not shown as a link when you typed a link. It will be shown as a link after sending a mail. 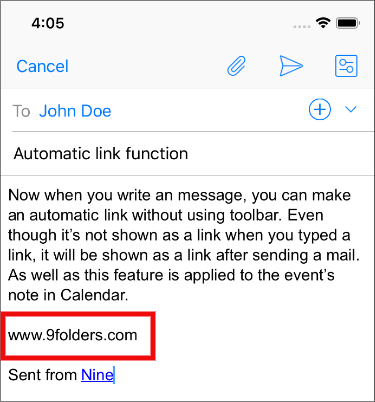 As well as this feature is applied to the event's note in Calendar. So far, you could easily create a new event using the long-press in only the Monthly view and Agenda view. However, this release also includes the function to add a new event through the long press on screen in the Day/Work Week/Week view.